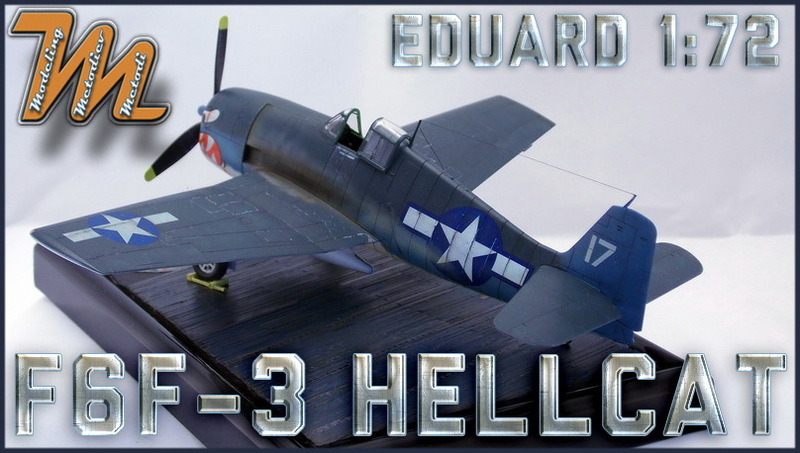 I have red quite positive reviews for Eduard's 1:72 scale F6F family, so I decided to build one of them. I chose the F6F -3 weekend edition, kit number 7414. It represents the aircraft flown by LT R. E. Stambook with VF-27 Hellcats on board of the USS Princeton. While the kit does not have the photoetched goodies of the PROFIpack line it offers very good price regardless of kit quality. Opening the box skyrockets the value for money factor simply because inside you will find one of the best 1:72 scale kits ever made. You can (as I did) build it to 80% with some tape, and will have good joints and fit... once again no glue... just tape it here and there. The construction was quite straight forward. No issues whatsoever. I added some detail from left over PE in the cockpit, like some levers and masking tape seat belts. Also reworked the gun-sight slightly, adding clear acetate film instead of the molded clear plastic part. Furthermore I added center-line seam and some straps to the external fuel tank, brake lines to the landing gear and antennae. I also hollowed the molded in exhaust ends. I have done the recognition and formation lights (I am not sure that is what they are called) with clear plastic from the sprue. I started with decontamination as usual, followed by Tamiya Fine surface primer. The paints that I used here are from Mr.Color. I used number 1 (White), 14 (Navy Blue) and 72 (Intermediate blue). For preshading, painting and fading I used different mixes of those colors. All was well diluted with Mr. Leveling Thinner. I used artists oils to do the wast. Also I applied dot filtering and some staining also using oils. I wanted to obtain something I have seen in pictures - the effect of lean mixture deposits layer and on top of them rich mixture deposits layer. I applied light tan color with vertical strokes of the airbrush, fading towards the rear. Then I applied several layers of highly diluted black color for better control. At the end I added streaks from the exhaust in the direction of the airflow with oils. I also sanded the decals to obtain more used and beaten looks to them. 10th open exhibition/competition for scale models was held in Sofia this Autumn. I was one of the exhibitor/competitors with some of my models including this one, so... 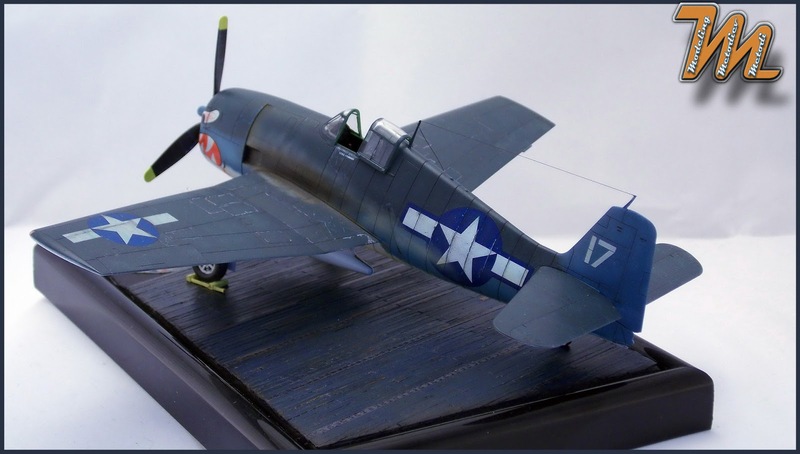 I've got first place in category "Propeller driven - 1:72"
I hope have enjoyed my little write up dedicated to scale model of the Grumman F6F-3 of VF27 served at USS Princeton. GREAT job MM.I think the mismatch between the insignia decal and the paint is the paint not the decal.I built a Corsair a couple years ago and just finished a Hellcat.I used Model Master fs colors and the decals matched perfectly.No armament in the kit or did you chose not to mount them? Thanks Walt, yes it might be the camo colour. There are bombs and rockets in the kit, but the instructions don't suggest using them so I didnt.